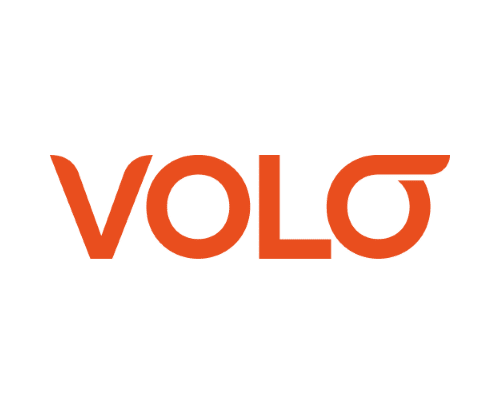 Volo provides technology and services to build the world’s most successful community of online multichannel sellers with a specific focus on direct-to-consumer sales. Using Algopix’s platform for product insights and market research, you can find the best opportunities for direct selling with a full service eCommerce solution from Volo. Volo recognized the eCommerce trend that more and more manufacturers and brands sell directly to consumers. However, in many occasions these manufacturers or brands don’t have the necessary knowledge to grow their online presence or manage multiple marketplaces. Volocommerce fills this knowledge gap since 2006 with its combination of eCommerce specialists and software. In the past year, they processed over 40 million sales orders and helped their customers grow 50% on average in the first year. After three year, most customers have doubled their sales. Currently, names like L’ORÉAL, Philips, and Superdry trust Volo to grow their brand and eCommerce channels. Rather than just providing a SaaS product, Volo is a full-service eCommerce management solution that centers around its synergy between its service and software solution. As a service provider they focus on you, the customer, and want to understand how they can help you so that using Volo does not interrupt your business operations. They cover the three pillars of eCommerce growth: planning, launching, and optimization. In the first step, Volo offers tailored advice on your product range and how to sell it on different marketplaces. Based on their analysis, they will set up a go-to-market strategy for each marketplace. In the next step, they make the proposed strategy become reality by setting up new sales channels to increase your sales. The last step revolves around optimizing everything. Because you cannot predict the future, 100% of ongoing optimization is needed to make your business operations as efficient as possible. Volo’s eCommerce solution keeps track of your listings and changes them to increase conversions, while their team is cautious not to miss any upcoming eCommerce trend. A full-service provider on your side allows you to focus on your business rather than sales, but also can be tempting to fully rely on. While Volo provides a comprehensive eCommerce solution for multi-channel merchants that want to make the transition to direct-to-consumer selling, Algopix’s market insights can help you better understand where and what to sell. Volo already takes care of your product’s demand analysis in order to form a strategy to sell them efficiently on different marketplaces for you. Algopix extends this analysis by providing intel on a product’s last month’s unit sales, the competition level, the expenses for selling a product, and the expected profit margin on 15 eBay and Amazon marketplaces. This allows you to not only adjust your current product positioning on marketplaces but also enables you to research new products and source the ones that having the most promising demand and profits. Volo then will take care of bringing these products to the right marketplaces, resulting in higher sales and more profit.